For over 180 years, the Museum of Science has evolved to meet the needs of society and has become one of Boston's leading cultural institutions in the process. In 1830, six men interested in natural history established the Boston Society of Natural History, an organization through which they could pursue their common scientific interests. Devoted to collecting and studying natural history specimens, the society displayed its collections in numerous temporary facilities until 1864, when it opened the New England Museum of Natural History at the corner of Berkeley and Boylston Streets in Boston's Back Bay. That museum is now known worldwide as the Museum of Science, Boston. One of the world's largest science centers and Boston's most attended cultural institution, the Museum attracts approximately 1.5 million visitors a year through its vibrant programs and 700 interactive exhibits. After World War II, under the leadership of Bradford Washburn, the society sold the Berkeley Street building, changed its name to the Boston Museum of Science (later, the Museum of Science, Boston) and negotiated for a 99-year lease with the Metropolitan District Commission for land spanning the Charles River Basin, now known as Science Park. 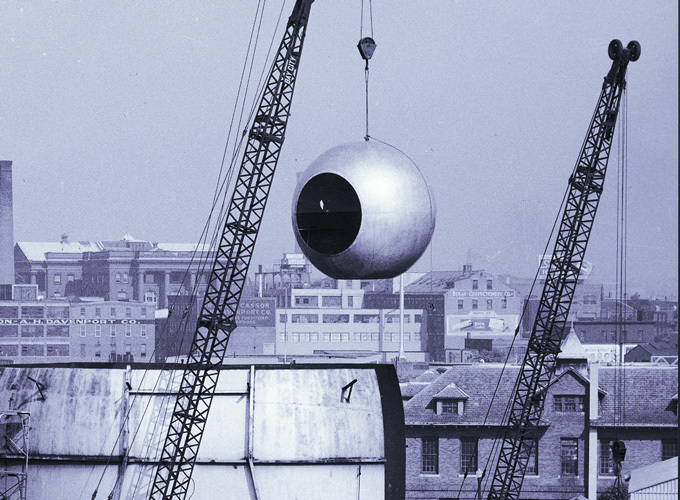 In 1948, the Museum designed and built the first traveling planetarium in New England to promote the development of a new Museum building. The cornerstone for the new Museum was laid at Science Park a year later, and a temporary building was erected to house the Museum's collections and staff. In 1951, the first wing of the new Museum officially opened, making the Museum the first to embrace all the sciences under one roof. Comprising 14,000 square feet of exhibit space, the new Museum's first wing was already much larger than the entire exhibits area of the old Berkeley building. 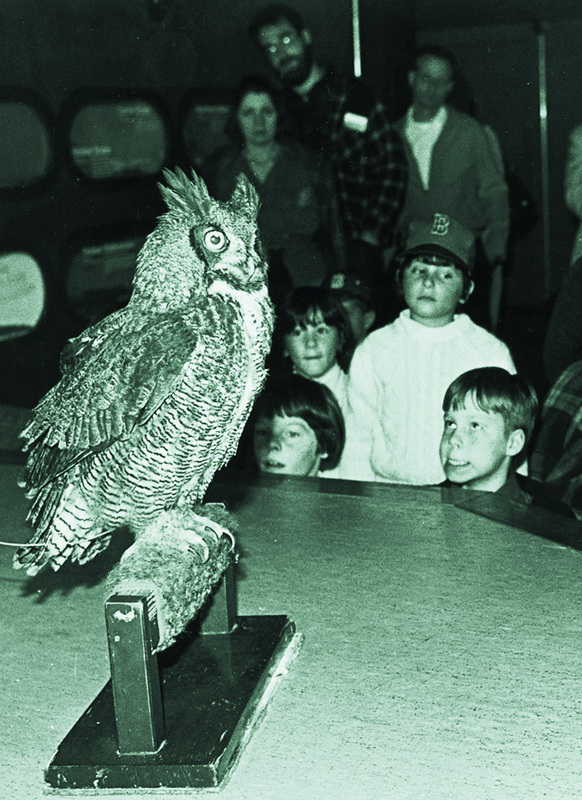 That same year, one of the most endearing and memorable symbols of the Museum, "Spooky," the great horned owl, was given to the Museum as an owlet. Spooky lived to age 38, becoming the oldest known living member of his species. During the next two decades, the Museum greatly expanded its exhibits and facilities. 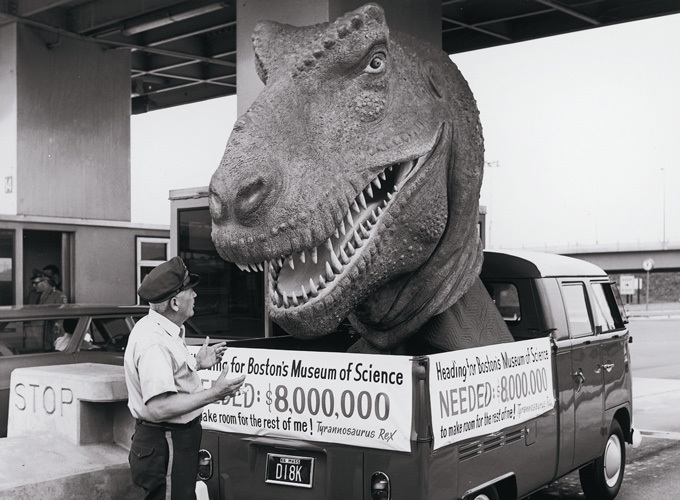 In 1956, the Museum was successful in campaigning for a Science Park MBTA station bringing visitors to within 200 yards of the Museum. The Charles Hayden Planetarium, funded by major gifts from the Charles Hayden Foundation, opened in 1958. By 1968, further building expansion was underway as ground was broken for the Museum's West Wing, which was completed in the early 1970s. The Elihu Thomson Theater of Electricity, which houses the 2 1/2 million volt Van de Graaff generator — the two-story-tall high voltage electricity generator given to the Museum by the Massachusetts Institute of Technology in 1956 – opened in 1980. The Museum has remained on the cutting edge of science education by developing innovative and interactive exhibits and programs that both entertain and educate. The Mugar Omni Theater, opened in 1987, uses state-of-the-art film technology to project larger-than-life images onto a five-story-high domed screen, creating a "you are there" experience for viewers. In 1988, the Museum added the Roger L. Nichols Gallery to house temporary and traveling exhibits. The Museum's mission supports programs to attract the widest possible audience. Since 1993, accessibility for people with disabilities has dramatically improved in the Museum. All permanent additions to the Museum are pre-examined against accessibility criteria. American Sign Language interpreters can be arranged with at least two weeks' notice, based on availability. In the Planetarium, scripts, captioning, and an infrared assistive listening system are available for selected shows to visitors with hearing impairments. In the Mugar Omni Theater, limited numbers of infrared headsets and/or reflectors for captioning are available as well as rear window captioning, amplified and descriptive narration, and show scripts for selected films. In 1999, the Museum incorporated The Computer Museum, bringing its interactive exhibits to the Museum of Science and moving computing technology to the center of its own exhibits, programs, and operations. In 2001, the Museum opened its Gordon Current Science & Technology Center , which offers breaking news stories to the public with interpretation by Museum staff and frequent presentations by the scientists and inventors involved. In January 2003, Ioannis (Yannis) N. Miaoulis became president and director of the Museum after a distinguished association with Tufts University, where he was Dean of the School of Engineering. Miaoulis strives to make everyone scientifically and technologically literate. With the Museum's boards of trustees and overseers, he spearheaded creation of the National Center for Technological Literacy® (NCTL®) in 2004. Supported by corporate, foundation, and federal funds, the NCTL® aims to enhance knowledge of engineering and technology for people of all ages and to inspire the next generation of engineers, inventors, and scientists. The Museum of Science is the country's only science museum with a comprehensive strategy and infrastructure to foster technological literacy in both science museums and schools nationwide. 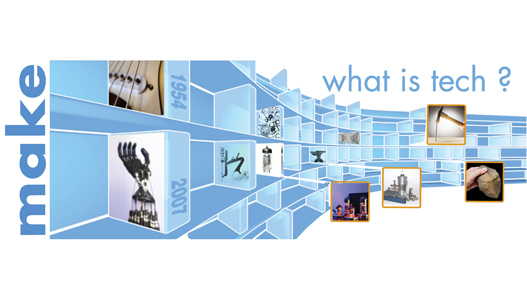 Through the NCTL®, the Museum is creating technology exhibits and programs and integrating engineering as a new discipline in schools via standards-based K – 12 curricular reform. Recognizing that a 21st-century curriculum must include the human-made world, the NCTL® advances technological literacy in schools by helping states modify educational standards and assessments, by designing K – 12 engineering materials, and by offering educators professional development. On June 30, 2015, the Museum completed the largest fundraising effort in its 185-year history, exceeding its $250 million campaign goal by $34 million. In 2011, the Museum had embarked on the transformation of more than half of its 130,000 square feet of gallery space to tell the story of the natural and engineered worlds, enhance visitor experience, and make the facility more sustainable. "Thanks to our extraordinary benefactors and partners -- some of whom have run marathons and climbed mountains to support us -- we have made spectacular progress," says Museum president and director Ioannis Miaoulis. "We are ready to take on the future. Our goal is to become the leading science center worldwide in expanding the public's access to, understanding of, and critical thinking around engineering, technology, and the sciences." Outlining a bold vision for the next decade, Museum trustees approved a Long-Range Plan, building on its strengths as one of world's largest centers for dynamic, interactive science and technology exhibits and programs and its growing leadership in K-12 engineering education, nationally and globally. 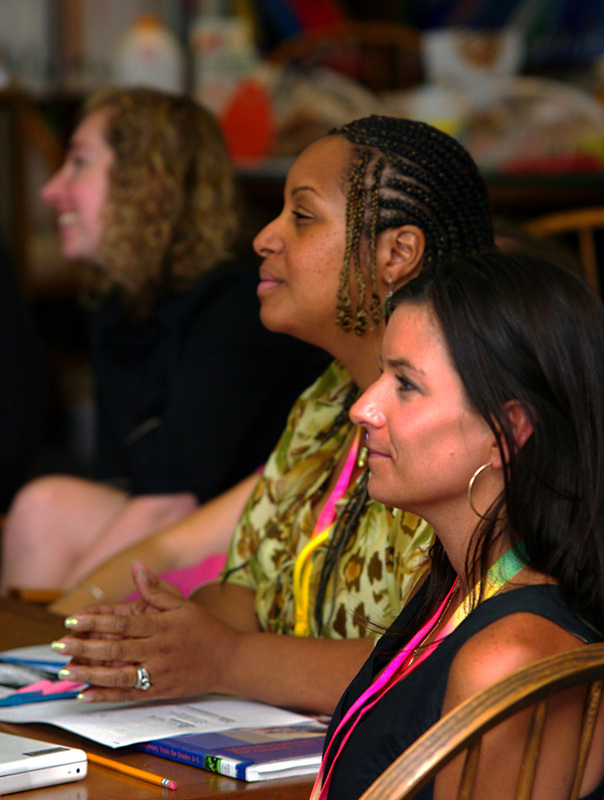 At the June 18 annual meeting of trustees and overseers, the Museum elected its first female board chairs to serve simultaneously: Gwill York, co-founder and managing director of Lighthouse Capital Partners, leading trustees, and Christine Bellon, vice president of legal affairs, Blueprint Medicines, leading overseers. Says York, "Moving forward, we will strive to expand the Museum's reach, physically and virtually, at the local, national, and international levels, optimize visitors' physical and digital experience, broaden participation across the lifespan, leverage our leadership in K-12 engineering education, and secure the Museum's future." The Museum has achieved many milestones. They include the 2004 launch of the National Center for Technological Literacy® (NCTL®), which, as of June 2015, had reached an estimated 8.3 million students and 93,600 teachers; Gordon Current Science & Technology Center; and construction of the Gordon Wing, NCTL headquarters and home of Museum exhibits, education, and research & evaluation teams, all inspired by $25 million in gifts from The Gordon Foundation, established by Sophia and Bernard M. Gordon. In addition, the Charles Hayden Planetarium reopened in 2011 as New England's most technologically advanced digital theater. 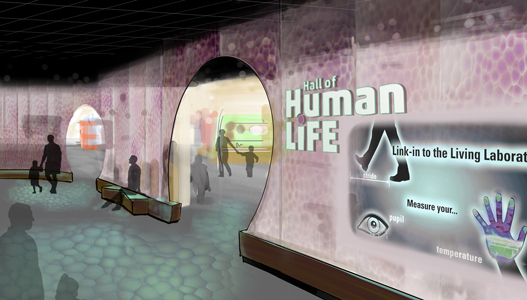 The Museum also unveiled the Hall of Human Life, a 10,000-square-foot exhibition, drawing from the latest discoveries in the life sciences to engage visitors in their own biology and health, and The Science Behind Pixar , a 10,000-square-foot exhibition exploring the science, technology, engineering, math and computer science concepts used by Pixar Animation Studios to create their award-winning films. 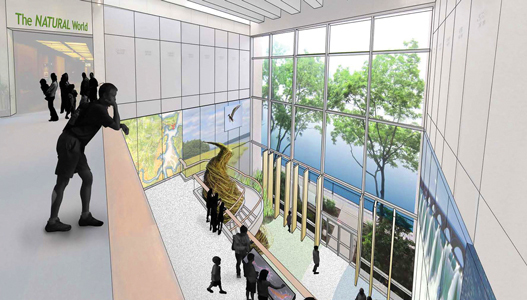 On the horizon: the Yawkey Gallery on the Charles River, a three-story gallery and exhibit capitalizing on the Museum's river location to engage visitors in understanding the natural and engineered worlds; Tech and You, to help visitors understand what technology is as they use engineering skills to solve problems; and continuing transformation of the lobby, box office, concourse and entrance, and enhancements greening the facility. Discover more about the Museum's history in the Museum of Science: Then and Now exhibit.